Update, March 25, 2019: Ohio man Del Hall is reportedly still standing more than two weeks into his beer-only Lenten diet. He even says he’s lost 25.4 lbs. Godspeed, Del Hall. Less than a month to go. 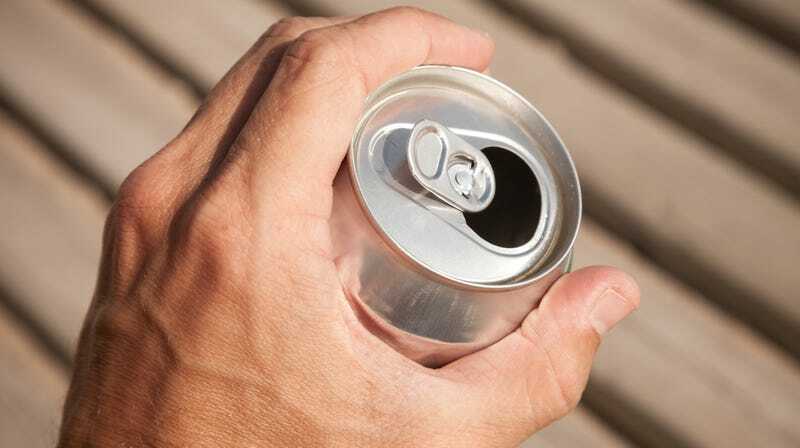 Original story, March 12, 2019: Some people might give up beer for Lent, as a way of abstaining from something they find pleasurable. But Ohio brewery employee Del Hall has decided to do the opposite: He’s only going to consume beer for the 40-day Lenten season. Good thing he has easy access to it. News station WKRC-12 reports Hall, an employee of Fifty West Brewing Company, says he will try to refrain from all solid food until Easter, drinking only beer for sustenance, as well as water. “I was number one in my class in the Army. I’ve run a full marathon before, 26.2 miles. I’ve done big challenges but this seems very daunting,” Hall told the station. He says he plans to check in with his doctor throughout the process and will chronicle the experiment on social media. Hall says he’s inspired by German monks who consumed bock-style beer during Lent as a form of “liquid bread.” Neither Hall nor I were alive during the 17th century, but I’d wager monks still ate solid food during Lent, washing it down with those relatively strong, slightly sweet bocks. Randy Mosher, in his book, Tasting Beer, explains: “Religious observants like monks, looking for a loophole to the denial of Lenten fasting, studied the rules and decided that God somehow overlooked banning beer along with meat, and so took full advantage.” I highly doubt they lived entirely on this stuff. I’m clearly a beer proponent, but even I have my reservations about Hall’s plan. After Googling “how long does it take to get scurvy”—clinical manifestations can appear in 8-12 weeks—I guess that’s not his primary concern. I get hangry after just a few skipped meals, though. Being hungry and potentially drunk seems like a terrible state to live in for 40-plus days. Godspeed, Del Hall, and I hope this experiment doesn’t turn you off beer entirely.